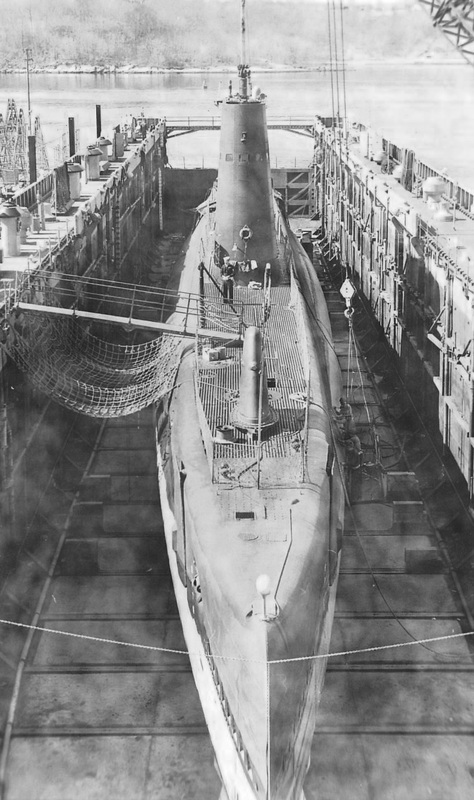 Balao Class Submarine:Laid down, 27 April 1944, at the Electric Boat Co., Groton, CT.; Launched, 10 June 1945; Commissioned USS Corporal (SS-346), 9 November 1945. Between February 1947 and March 1948, she received extensive modernization at Groton. 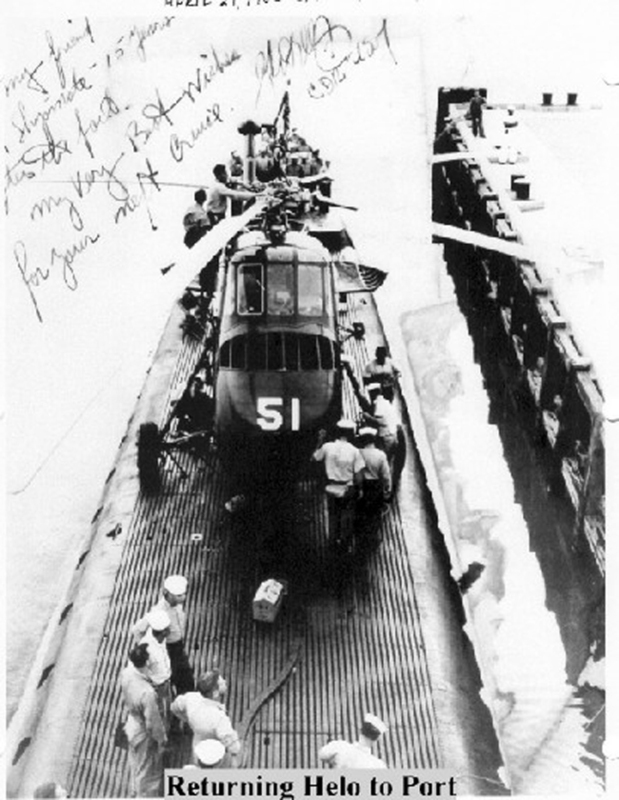 Corporal was the first U. S. submarine to land a helicopter on her deck on 26 April 1956. While conducting Anti-Submarine Warfare exercises 18 miles off Key West, Florida, Corporal had just surfaced when the helicopter became disabled and successfully landed on her after deck and was transported back to Key West. Decommissioned (date unknown), she entered Charleston Navy Yard, SC for GUPPY III modernization (adding 15 feet to hull to accommodate modern electronic equipment). Re-commissioned on 20 July 1962 and continued to operate in the Atlantic, Caribbean and Gulf of Mexico with routine deployments to the Mediterranean as a unit of the U. S. 6th Fleet. 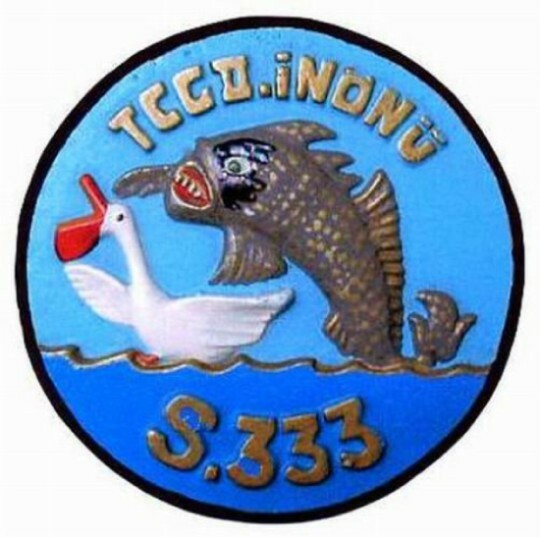 On 21 November 1973 and in accordance with the terms of the Security Assistance Program, Corporal was simultaneously decommissioned; struck from the U. S. Naval Vessel Registry (NVR); transferred as a cash sale to the Republic of Turkey and Commissioned TCG2 Inonu (S-333); in ceremonies at Groton. Proceeding as a commissioned ship of the Turkish Navy, the Inonu conducted underway training and independent ship exercises off the U. S. coast before departing for her new home port at Golcuk Navy Yard, Turkey on 18 December 1973. Arriving in Turkey on 15 January 1974, she operated in the Turkish Submarine Forces until she was Decommissioned on 2 September 1996. Final disposition and fate unknown. Researched by CTRC Donald J. Wagner, USN (Retired) for NavSource. Specifications: Displacement, Surfaced: 1,526 t., Submerged: 2,242 t.; Length 311' 9"; Beam 27' 3"; Draft 15' 3"; Speed, Surfaced 20.25 kts, Submerged 8.75 kts; Cruising Range, 11,000 miles surfaced at 10kts; Submerged Endurance, 48 hours at 2kts; Operating Depth, 400 ft; Complement 6 Officers, 60 Enlisted; Armament, ten 21" torpedo tubes, six forward, four aft, 24 torpedoes, one 5"/25 deck gun, one 40mm gun, one 20mm gun, two .50 cal. machine guns; Patrol Endurance 75 days; Propulsion, diesel-electric reduction gear with four main generator engines., General Motors diesel engines, HP 5400, Fuel Capacity 118,000, four General Electric motors, HP 2,740, two 126-cell main storage batteries, two propellers. 479k Corporal (SS-346) at Electric Boat Company, Groton, Connecticut, 10 June 1945. 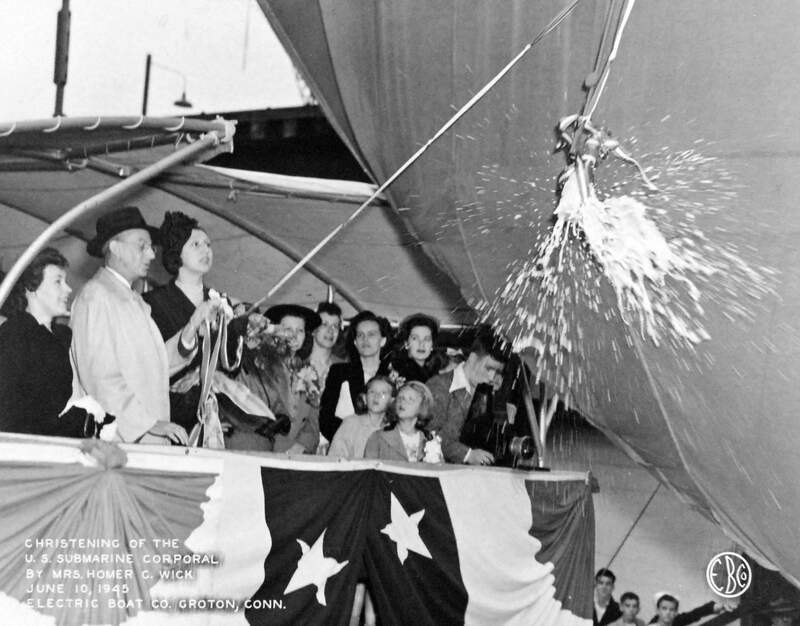 Shown: Mrs. Homer C. Wick, christening the ship. USN photo # 80-G-409417 courtesy of National Museum of the U.S. Navy. 37k Corporal (SS-346) sliding down the launching ways at Electric Boat, 10 June 1945. USN photo courtesy of ss346.com. 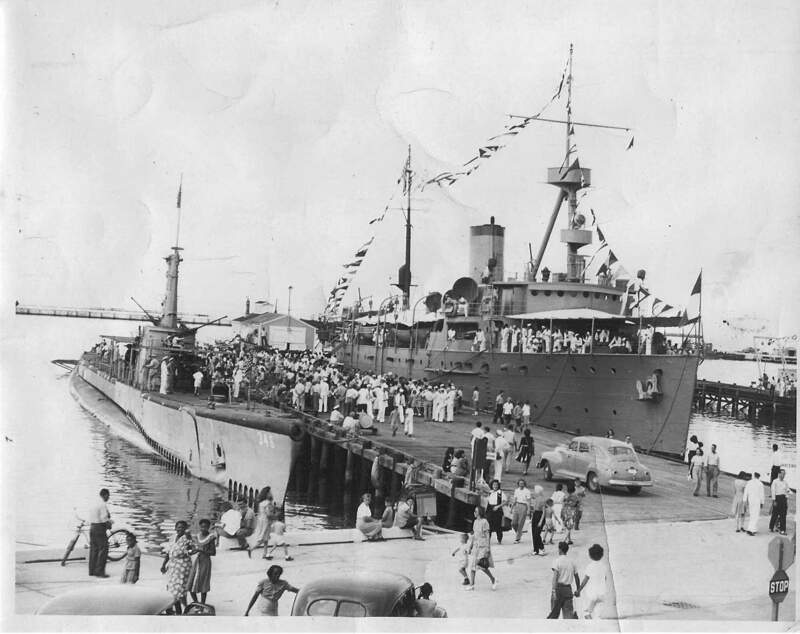 146k Throngs of Cubans turn out to see the Corporal (SS-346) in Guantanamo Bay, Cuba, 1946. The ship to her right side is the Cuba, built by Cramps, Philadelphia in 1911. Partial text i.d. via David Wright. USN photo by John B. Cavanagh, submitted by Bob Machen, EM1(SS) ret. 66k Corporal (SS-346) post circa 1949 underway off Key West. 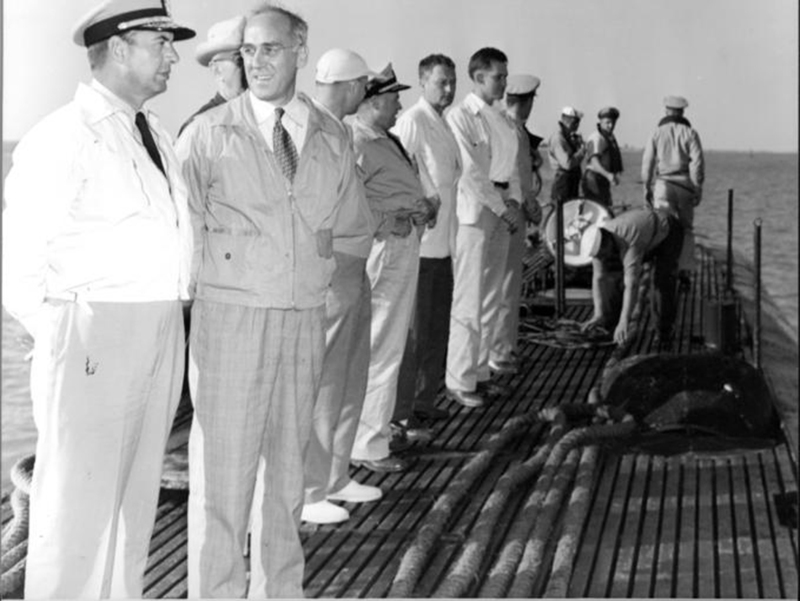 She continued to conduct training and join in exercises off Florida and in the Caribbean until her first tour of duty in the Mediterranean with the 6th Fleet from 16 July 1952 to 15 October. USN photo from Jane's Fighting Ships, courtesy of Robert Hurst. 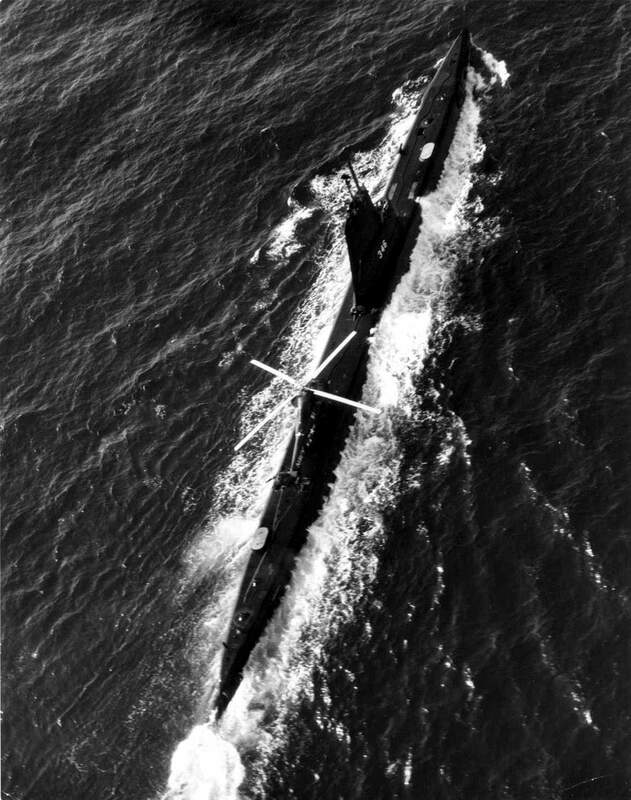 491k Postcard of the Corporal (SS-346) from the above photo. Photo # 06_10_004330 from The Tichnor Brothers Collection, Boston Public Library via digitalcommonwealth.org. 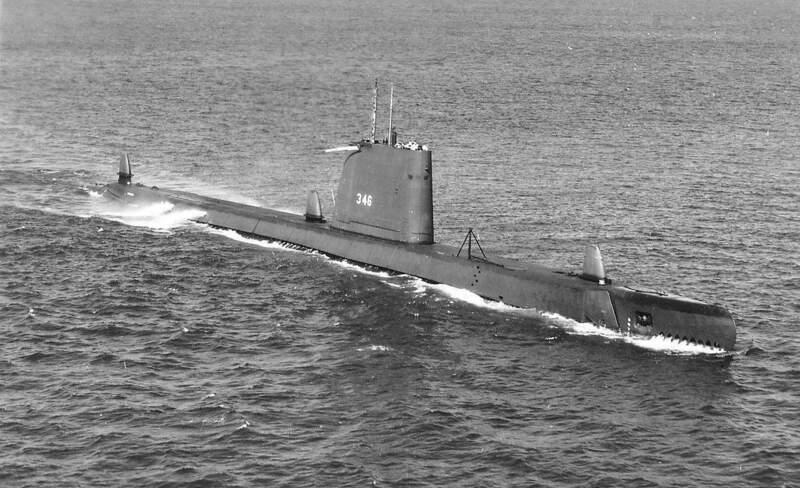 146k Corporal (SS-346) underway off Key West, early 50's. Photo courtesy of Skip Riser. 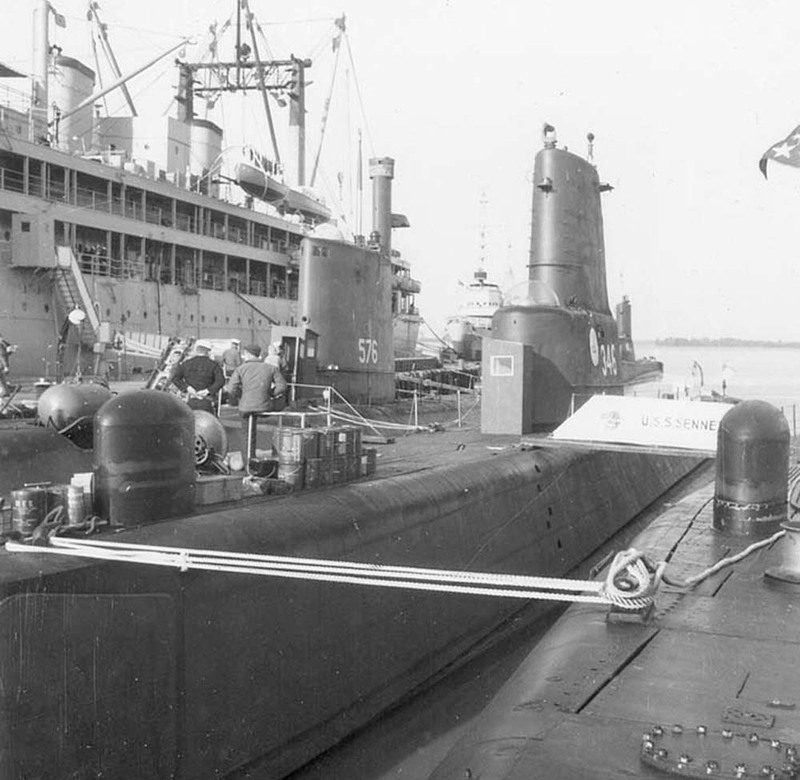 93k Chivo (SS-341) & Corporal (SS-346), outboard of Bushnell (AS-15) at Key West Fla, 1955. Photo courtesy of John Hummel, USN (Retired). 853k First Submarine To Reel in a Helicopter! On Thursday, 26 April 1956, off the southern coast of Florida about 20 miles from Key West, Cmdr. William F. Culley of Augusta, Georgia noticed a problem mid-flight. Culley, the pilot of Navy helicopter #51 on an antisubmarine warfare (ASW) training run as part of Squadron VX-1, realized that he was losing oil quickly from the main rotor assembly. He was too far from the coast to return for an emergency landing. Culley's mind raced as he considered his options. Bailing was certainly possible, giving Culley and his three fellow crewmembers the best opportunity to survive the incident, although at the cost of a very expensive Navy helicopter�the Sikorsky HSS-1, known as the Seabat because of its ASW package. Finding a small cay in the vicinity to land on would be ideal, but a sweep of the ocean landscape failed to show any small land masses that might have provided such an opportunity. Crashing into the ocean was not a desirable option. 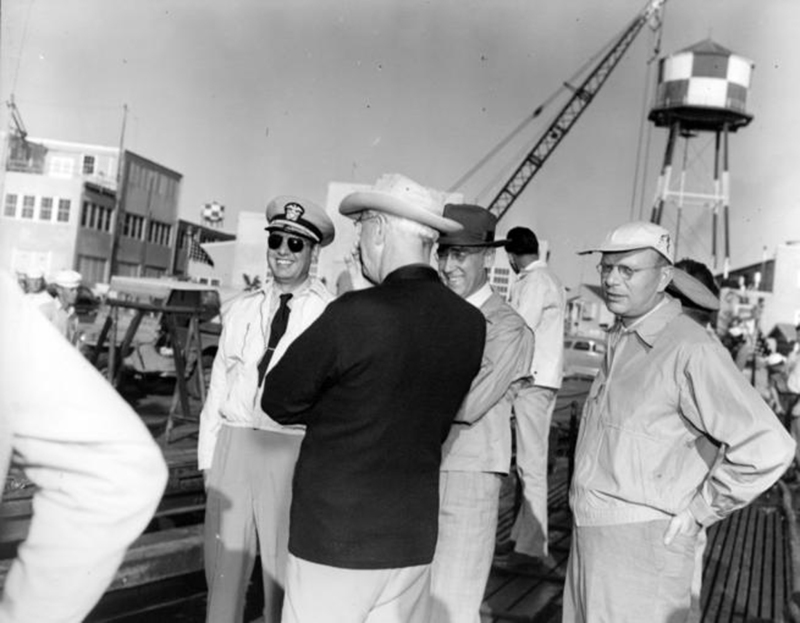 Culley, his co-pilot Lt. J. K. Johnson, and two other crewmembers, G.A. DeChamp (SO3) and M.R. Dronz (AT2), realized that they had precious minutes to make a decision before mechanical failure required a costly abandonment. A May-Day call was sent from the helicopter in hopes that another Navy or even merchant vessel could lend a hand. 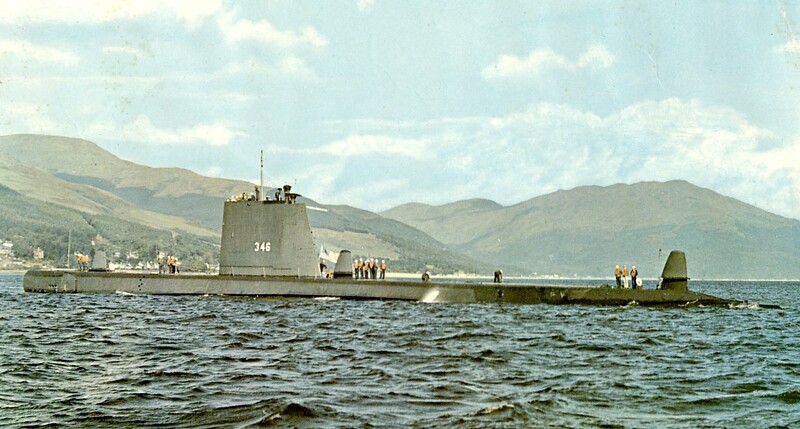 Meanwhile, not far from the distressed chopper, the Corporal (SS-346), assigned to the submarine base at Key West, was submerged, also participating in the ASW exercises as a designated opposing boat. The Corporal was a Balao-class submarine. She was built at the Electric Boat shipyard in Groton, Connecticut and commissioned shortly after the conclusion of World War II in November 1945. She carried a complement of 10 officers and about 70 enlisted men. The Corporal was 312 feet in length with a beam of 27 feet, 3 inches. As it turned out, she would need every inch of that beam for her next unscheduled assignment. The radio shack of the Corporal intercepted the May-Day call from the disabled helicopter. This news was communicated immediately to the sub's skipper, Lt. Cmdr. Erman O. Proctor in the Conn. He wasted little time. "Emergency surface. Blow all main ballast." The words reverberated over the sub's 1-MC as the Corporal executed an emergency blow and came to the surface with a gargantuan splash. In contact with the helicopter, Proctor ascertained that the chopper could remain airborne for only a short time longer. Culley requested the Corporal to make heavy knots in his direction to pick up survivors should the need to ditch the helicopter arise. The Corporal radioed that they were on their way to the scene directly and then proceeded at flank speed to the provided coordinates of the chopper. In just a few minutes, the Corporal made it first visual contact of the stationary chopper suspended only a short distance above the ocean surface. Moving in to the helicopter's immediate vicinity, Proctor had an idea that he shared with Culley. "How about attempting an on-deck landing?" The reply from the chopper was emphatic: "Hell yes, let's give it a go." Absolutely no one wanted to see a valuable asset plunge needlessly to the ocean depths; the replacement price for the Sikorsky HSS-1 helicopter was about $250,000. The Corporal carefully positioned itself directly under the still-hovering helicopter. Communications between chopper and submarine continued at a fast and furious pace. The mechanical issue with the helicopter prevented it from turning in any direction; hovering was still functional, but no adjustment in heading could be made from the cockpit. Once the Corporal understood this problem, the submarine maneuvered herself in the open seas such that her after deck was lined up with the landing wheels of the chopper. But did the helicopter have enough room to land on the deck? The answer wasn't entirely clear from visual inspection by the submarine party standing topside and looking up at the spinning blades of helicopter #51. There were two critical issues to ponder. First, was the beam of the submarine wide enough to accommodate the landing wheels of the helicopter? The answer to that question wasn't immediately clear to those crewmembers of the Corporal who had gone topside to inspect the underside of the hovering helicopter. (The "recovery party" in this case consisted of volunteers headed up by the COB.) Second, assuming that there was enough room from side to side, could the pilot of the helicopter bring her down in the very tight window from fore to aft on the submarine deck without striking the sail with its main rotor or the fantail with its rear rotor? Since no one had ever seriously contemplated the answers to these questions, all the men could do was to look closely and guess. To all who were there, it seemed like a very tight proposition, but there seemed to be just enough room from fore to aft and from port to starboard along the after deck to give it a shot. Still, given the vagaries of the sea and wind conditions that could shift the relative positions of the submarine and helicopter, the whole idea was incredibly risky. However, short of dumping the chopper there seemed to be no other viable alternatives, so the submarine crew prepared for the surprise drop-in. The COB and his topside men had no protocol manual to draw from. They simply relied on their instincts to mitigate the risks of the impending landing�such as taking down the long wire antenna to avoid an inadvertent snag. The men then grabbed mooring lines in preparation for the next step. The helicopter began its final descent as pilot Culley attempted to keep his bird directly over the centerline of the submarine hull. Except for one intrepid sailor, the members of the recovery party stayed crouched at a safe distance just forward of the sail during this time. The person who volunteered to remain in harm's way was engineering officer LTJG George Ellis, who braced himself along the after edge of the sail and provided hand signals for the pilot to fine-tune his landing. Ellis' role was critical as the margin for error was razor-thin. He risked serious injury or even death from any errant move during his makeshift role as a signal officer, as the main rotor blades of the descending helicopter spun very close to his head. The radio shack of the sub sent the message, "Do you think you will make it?" Any response from the helicopter was delayed, since the message was received just as the three wheels of the chopper (2 front, 1 rear) made contact with the weather deck. The landing had to be absolutely perfect, and fortunately the seas had become mercifully calm during the attempt. With the precise teamwork between the hand signals of LTJG Ellis and the considerable skill of the chopper pilot, the bird miraculously touched down. Incredibly, a small part of each front wheel ended up overhanging the deck edge on each side, but there was just enough room for most of the rubber for the helicopter to remain stable topside. The men on board estimated that an inch or two longer span on the landing gear would have made the attempt a no-go. "We're on your deck and damn happy to be here! ", came the relieved reply from the helicopter. The pilot had stuck the landing on the very first try. 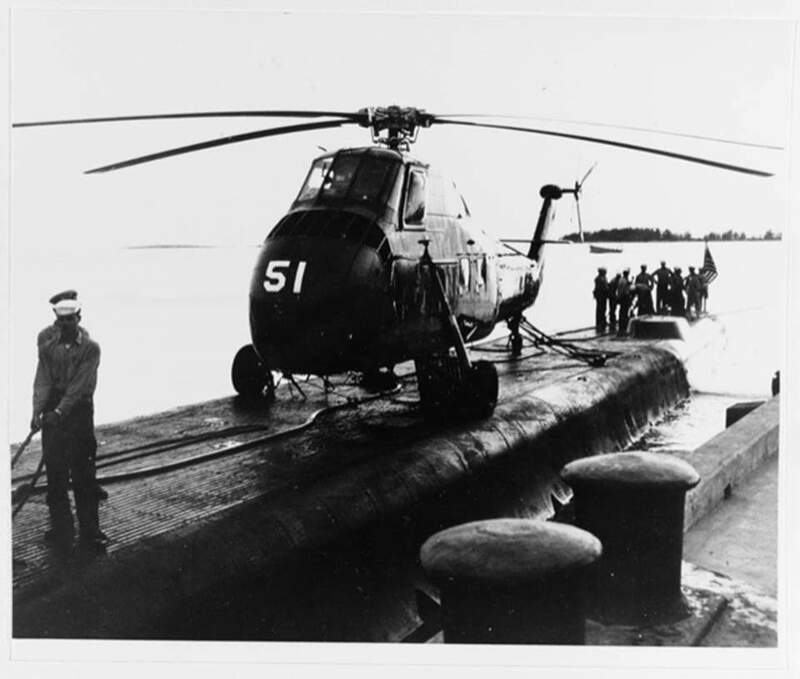 The recovery party rushed over with their mooring lines to tie up the chopper to the submarine. 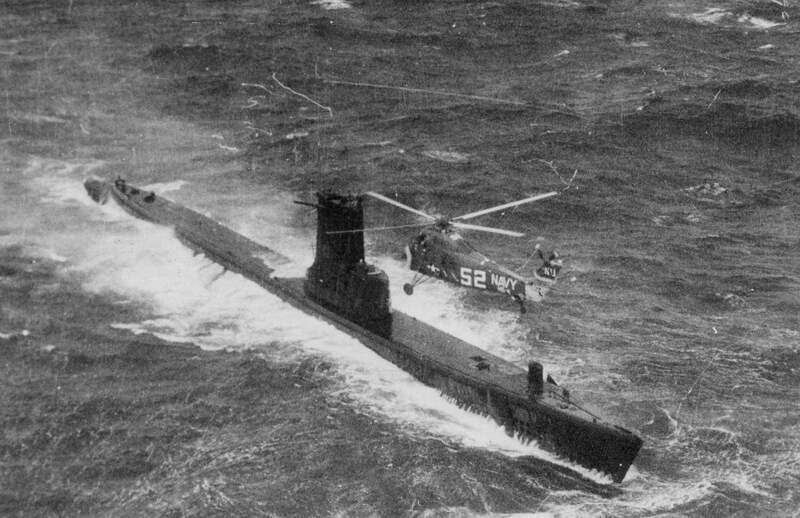 It was the first time that a submarine had ever rescued a helicopter, and it was entirely coincidental (and fortuitous) that the width of the submarine deck was just enough to accommodate the chopper's landing gear. Once the blades of the helicopter had spun to a complete stop and the assembly was properly secured, the crew emerged onto the deck, where they were met by Lt. Cmdr. Proctor. "Welcome aboard! 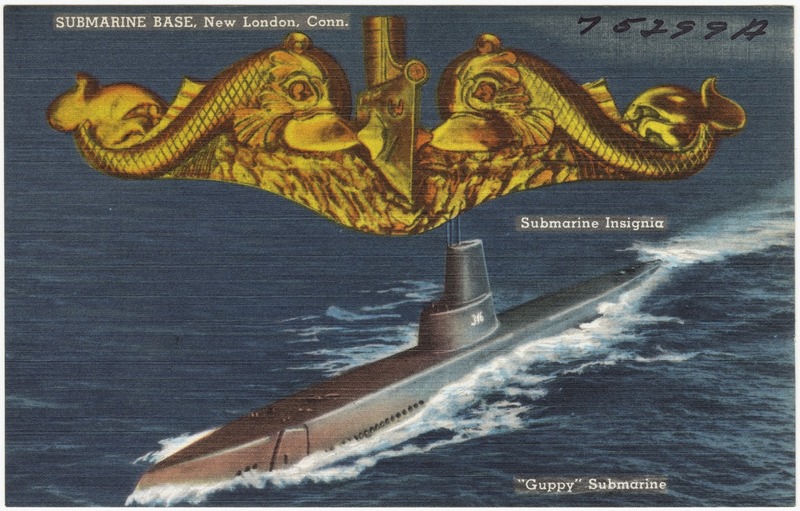 ", offered the skipper, in perhaps one of the most unusual unplanned visits in submarine history. The guests were escorted down the hatch and offered food and drink, while the Corporal steamed back to the Naval Annex at Key West, arriving just before sunset around 1830 hours local time. Word had spread about the plight of the helicopter and the unconventional heroism aboard the Corporal that had saved her; as a result, a large crowd had gathered spontaneously at the pier to greet both submarine and helicopter. It must have been quite a curious sight to witness the sleek submarine heading into her berth with the most unlikely bounty lashed to her dorsal hull. Navy mechanics made the necessary repairs to the helicopter rotor casing after a large crane lifted the bird from its precipitous perch on the Corporal. The broken oil casing was replaced, and the chopper again was ready for flight. Subsequently, the four-man crew climbed back into the cabin to depart, after grateful handshakes had been exchanged all around. Giving the thumbs up, Cmdr. Culley started the main engine, and those assembled at the pier to see the chopper off held onto their hats as the big bird took to the sky. In minutes, the helicopter was out of sight, and the men of the Corporal had themselves the yarn of a lifetime�about the big one that didn't get away. USN photo courtesy of Scott Koen & ussnewyork.com. Text & last insert photo courtesy of Rick Connole, son of Commander David R. Connole, K.I.A. 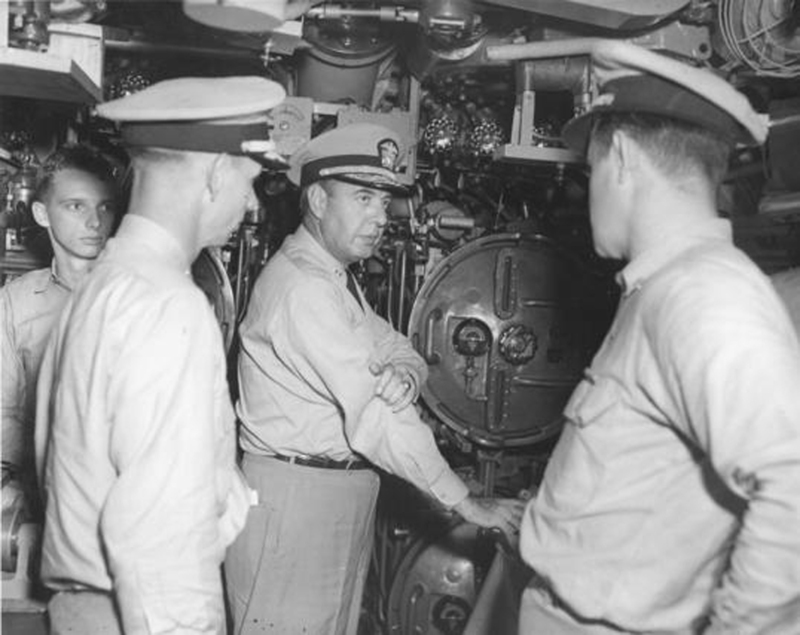 while commanding the Trigger (SS-237), lost with the entire crew of 89 on 28 March 1945. 219k Another Sikorsky HSS-1 Helicopter above on the Corporal (SS-346), 1956. USN photo courtesy of ussubvetsofwwii.org. Photo i.d. courtesy of Bob Neve, RM1(SS), USN Ret. 117k Darter (SS-576) & Corporal (SS-346) & Sennet (SS-408) outboard of Bushnell (AS-15) at Keywest Fla, 1960. Photo courtesy of John Hummel, USN (Retired). 371k An American Corporal (SS-346) in Toulon France, with French submarine Daphne (S-641) as her neighbor, 1967. Text i.d. via Dave Wright. 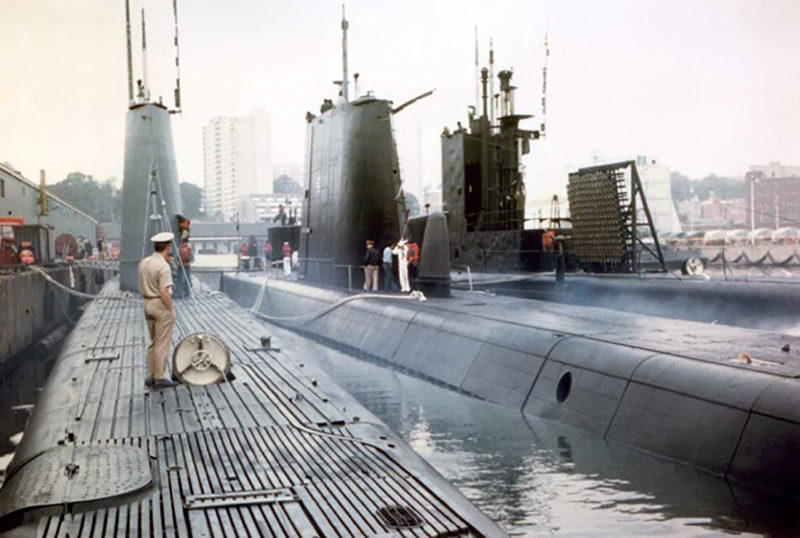 31k Sub Ron 8: Clamagore (SS-343),(front) Cobbler (SS-344) on her starboard side Corporal (SS-346) on her port side, Blenny (SS-324) bringing up the rear. Circa 1968-71, location unknown. Photo courtesy of John Hummel, USN (Retired). 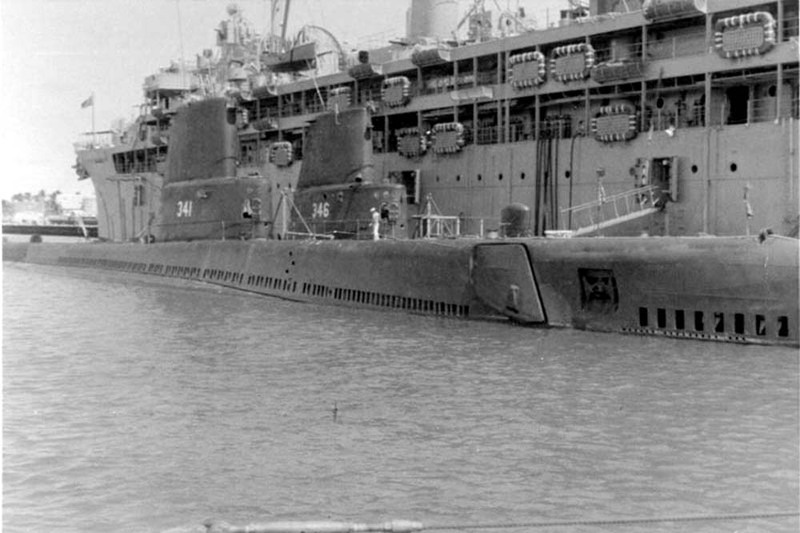 323k Sub Ron 8 from a different perspective: Corporal (SS-346) is on the port side of the diamond, Cobbler (SS-344) is on starboard side Clamagore (SS-343) up front and Blenny (SS-324) brining up the rear, circa 1968-71, location unknown. Photo courtesy of John Hummel, USN (Retired). 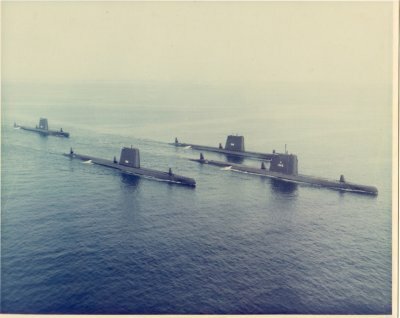 183k Corporal (SS-346), underway, circa 1968-71. Photo courtesy of John Hummel, USN (Retired). 274k Corporal (SS-346) in drydock, circa 1968-71. Photo courtesy of John Hummel, USN (Retired). 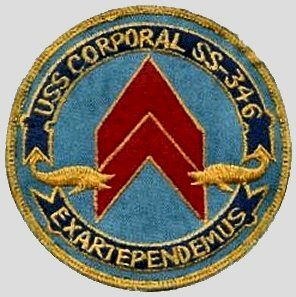 247k Corporal (SS-346) circa 1968-71. Photo courtesy of John Hummel, USN (Retired). 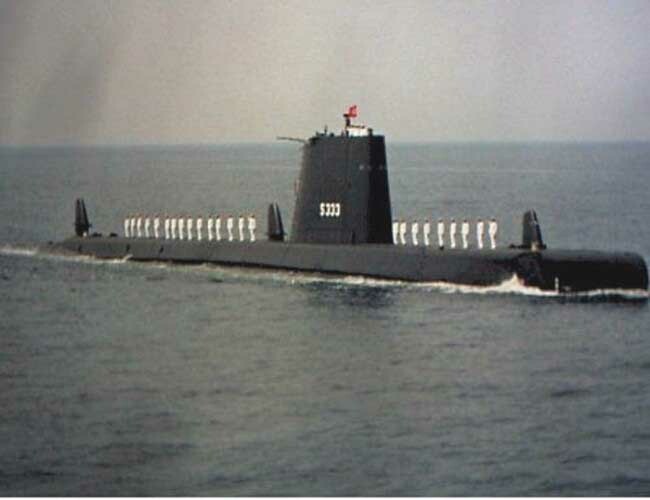 224k Corporal (SS-346) circa 1968-71. Photo courtesy of John Hummel, USN (Retired). 898k Corporal (SS-346) on 13 January 1969. USN photo NPC K-56173 courtesy of Scott Koen & ussnewyork.com. 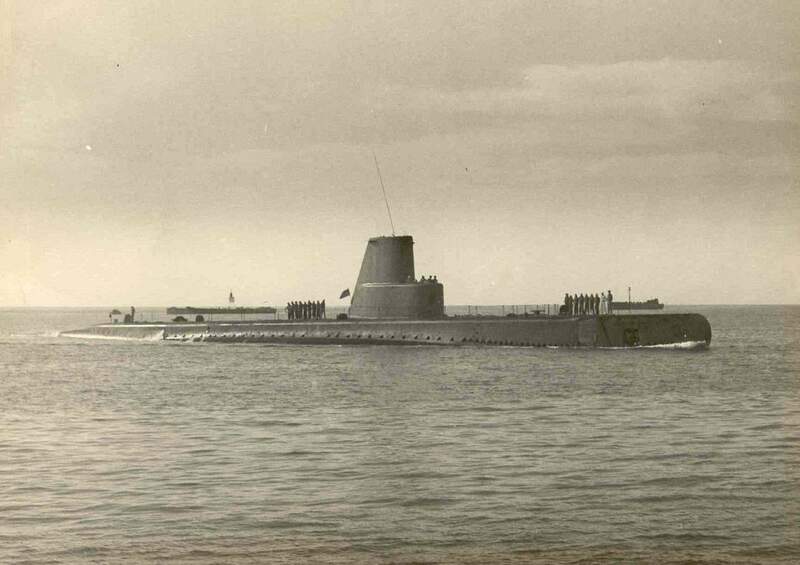 362k September 1973: Last Run for the Cobbler (SS-344), Corporal (SS-346) & Tigrone (SS-419) in Halifax, Nova Scotia. Photo courtresy of John Hummel, USN (Retired). 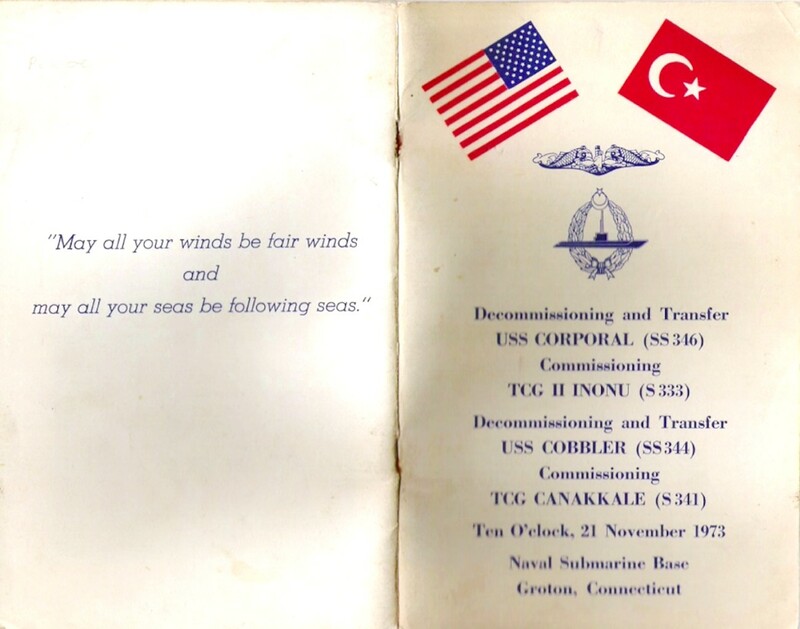 45k Front and back covers of the Decommissioning transfer ceremony of the Cobbler (SS-344) & Corporal (SS-346) to Turkey and their becoming the Canakkale (S-341) & Inonu (S-333). Photo courtesy of Y.M.Umar,CPO (Retired),Turkish Navy. 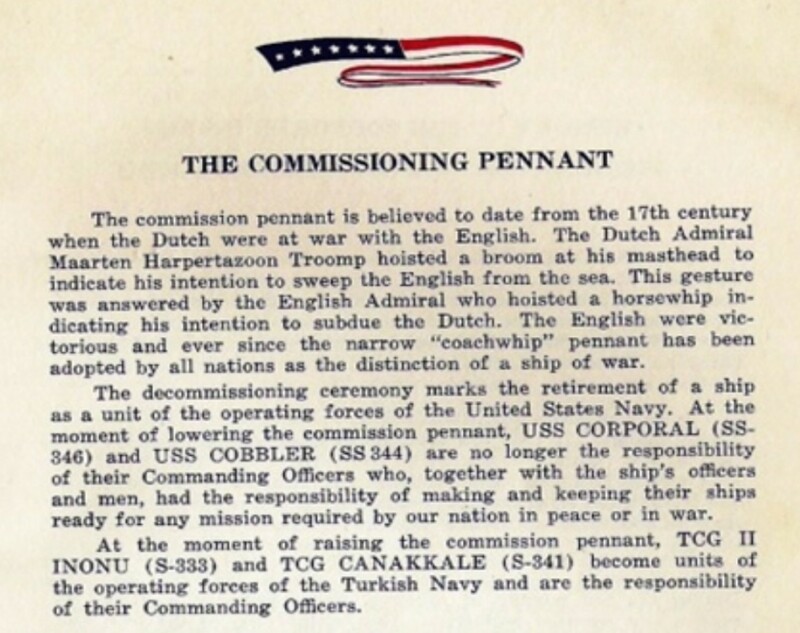 236k History of the Commissioning Pennant for the transfer ceremony of the Cobbler (SS-344) & Corporal (SS-346) to Turkey and their becoming the Canakkale (S-341) & Inonu (S-333). Photo courtesy of Y.M.Umar,CPO (Retired),Turkish Navy. 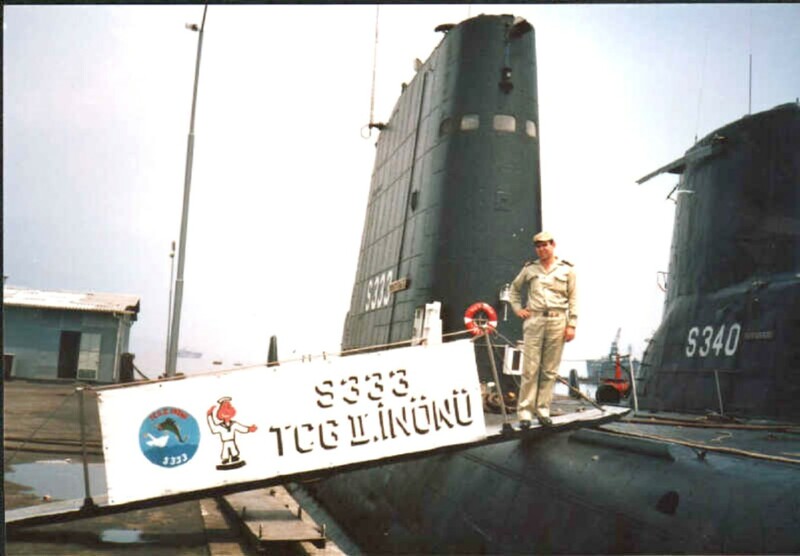 138k Officer of the Inonu (S-333) welcomes you aboard. The Cerbe (S-340), ex-Trutta (SS-421) is outboard. Photo courtesy of Y.M.Umar,CPO (Retired),Turkish Navy. 28k The Inonu (S-333) breaks the waves. Photo courtesy of Y.M.Umar,CPO (Retired),Turkish Navy. 39k Sailors aboard the Inonu (S-333) line the deck of the boat underway, circa post 1973, place unknown. Photo courtesy of Y.M.Umar,CPO (Retired),Turkish Navy.